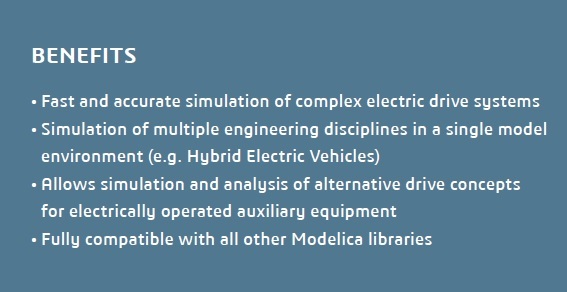 The SED library delivers pre-defined Modelica models that contain definitions of full electric drive systems – ready to be connected to a voltage supply and a mechanical load. These models enable the rapid simulation and analysis of complex electro-mechanical drive systems (e.g. 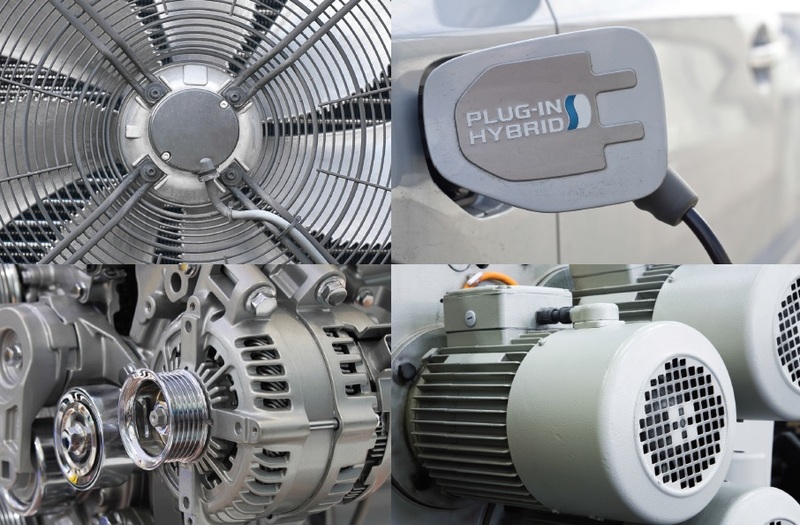 dynamic simulation of a hybrid electric vehicle’s powertrain systems and components). 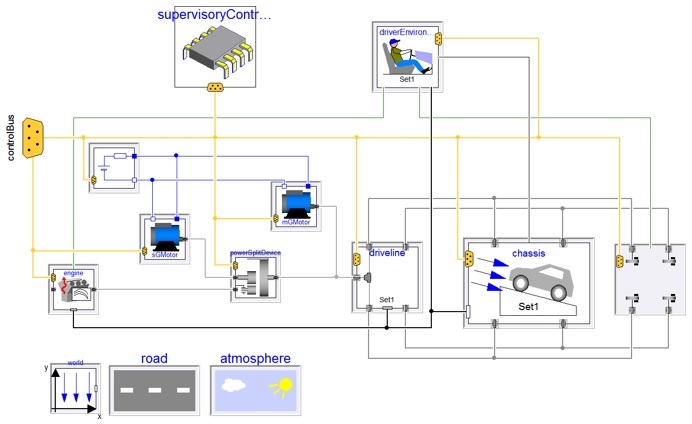 Simplified system description models to enable fast simulations that still achieve accurate results for ‘big picture’ evaluations with minimal computational effort. Electrical Industrial drive units, e.g. machine tools, robotics, construction equipment and etc.